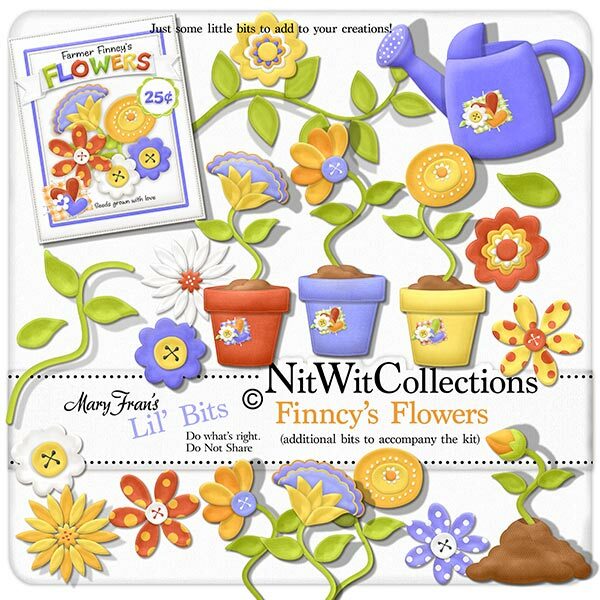 "Finncy's Flowers" Lil' Bits has all of the finished elements for a Flower Garden themed creation. You can find the Vegee themed elements in "Finncy's Garden" Lil' Bits. Elements in the Lil' Bits are not included in the "Finncy's Garden" FQB. 1 Sprout - shipped carefully so should continue growing well!